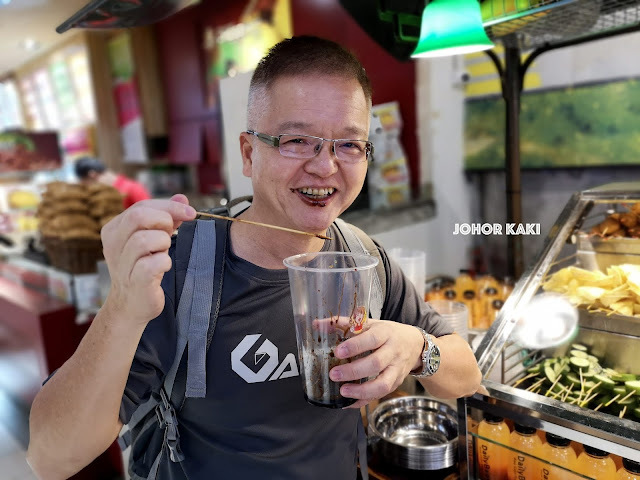 Friends who are familiar with Bukit Mertajam 大山脚 in Penang will know about the iconic lok lok there (known as chiam chiam 串串 or batang rojak on Penang island). 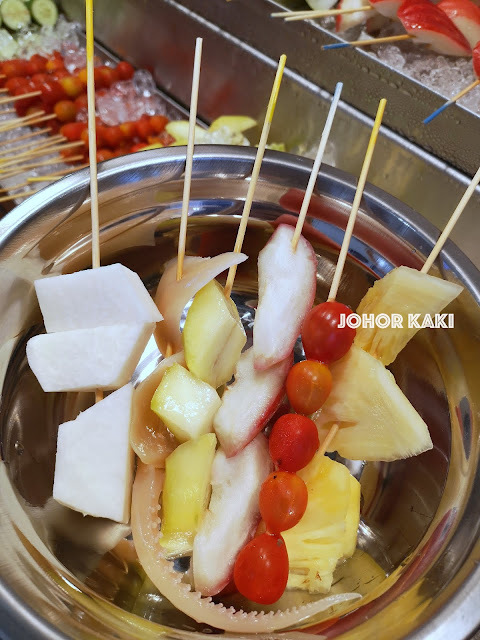 It is cut fresh fruits eaten with sauce based on hae ko (fermented prawn paste). 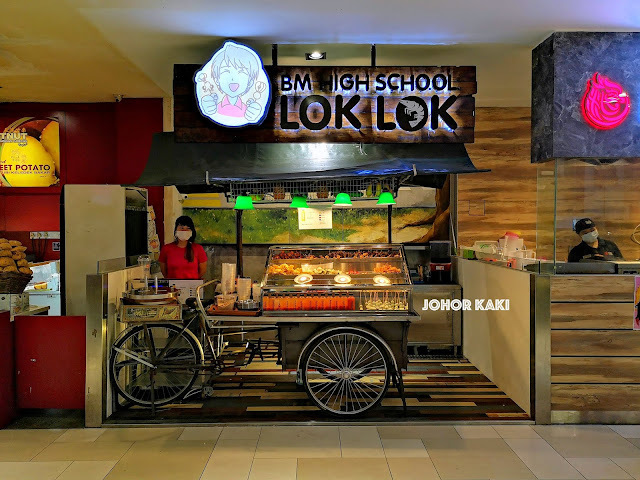 Now, there is BM High School Lok Lok stall which is at Level 3 of City Square Johor Bahru (steps from the Old Town White Coffee outlet). BM High School Lok Lok stall operates out of a trishaw just like those commonly found in Bukit Mertajam, Penang. 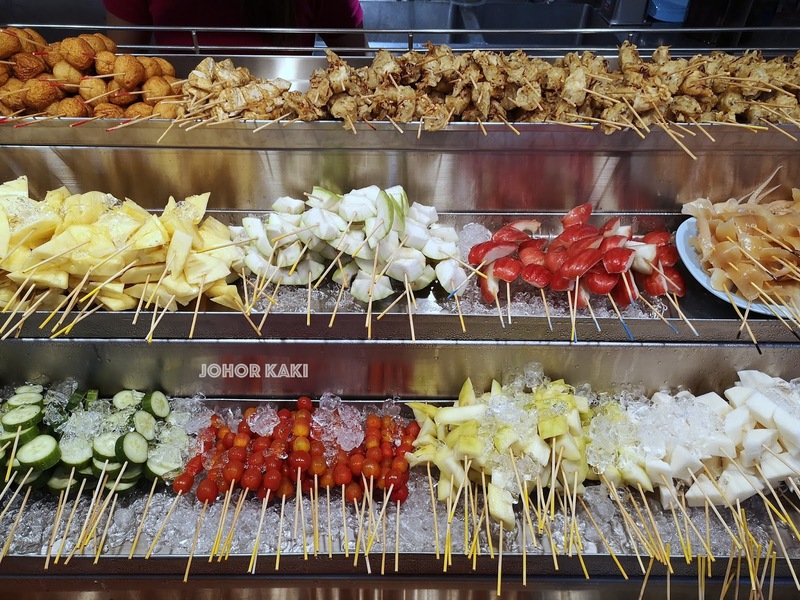 Fresh cut fruits are skewered and kept fresh on a bed of ice cubes. 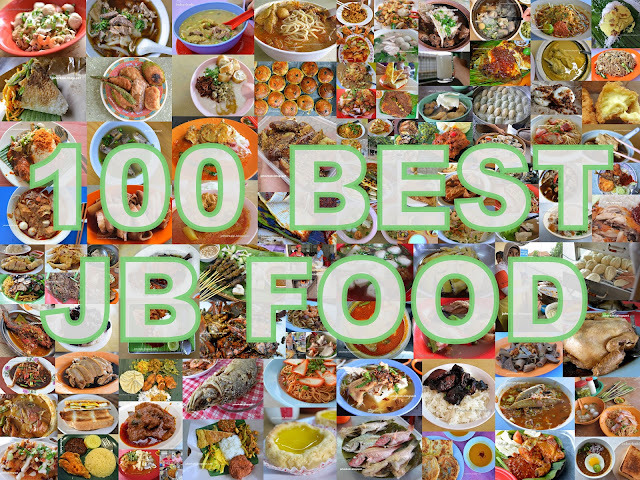 There are also some deep fried items and dried cuttlefish. Prices range from RM1 to RM2.90 per stick (according to colour code on the stick). 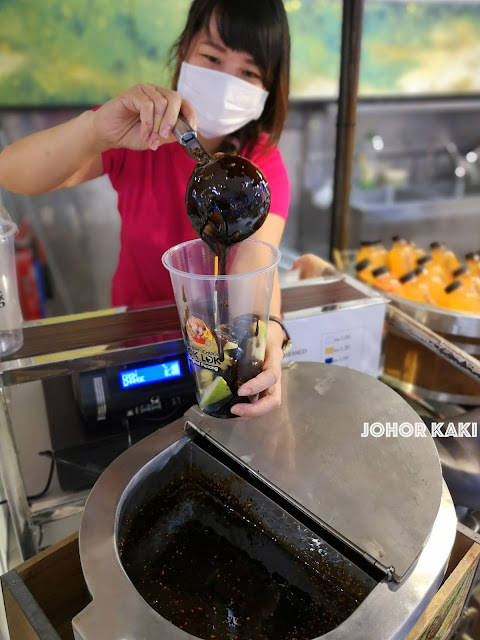 Hand your chosen fruits to the staff who will ladle in your choice of sauce (and collect your payment). 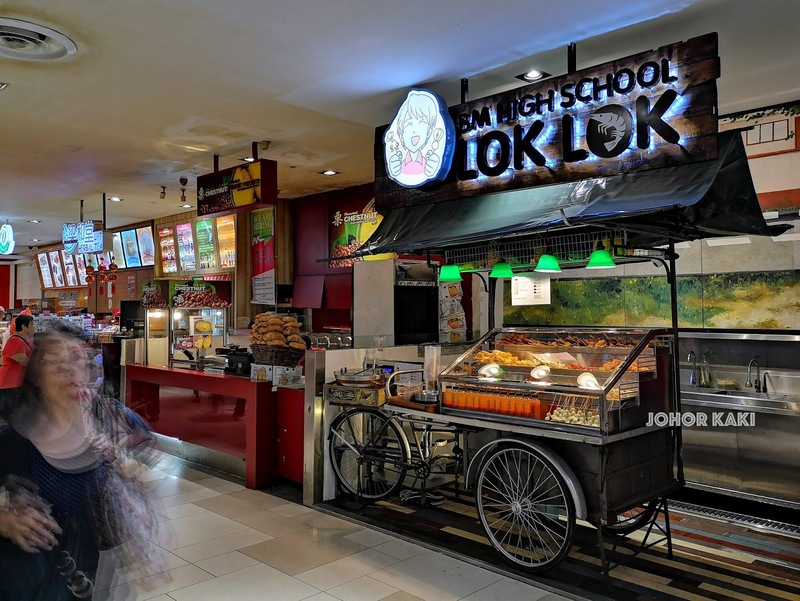 If you eat at the stall, your lok lok will be served in a bowl. My Chinese New Year haircut. 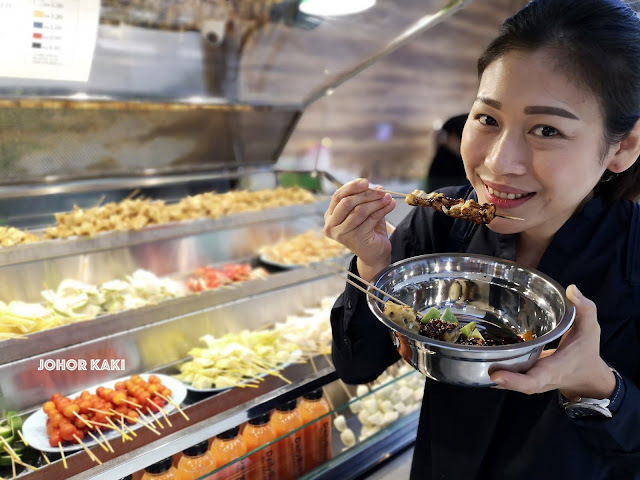 If you choose to eat your lok lok on the go, it will be served in a disposable cup. The cut fruits were fresh, slightly chilled, crunchy and juicy with all its natural fruity sweetness, citrusy zest etc. But, Bukit Mertajam lok lok (fruit rojak) is as much about fresh fruit as their heavy thick hae ko sauce. BM High School Lok Lok stall offers two types of sauce - original (non spicy) and spicy. 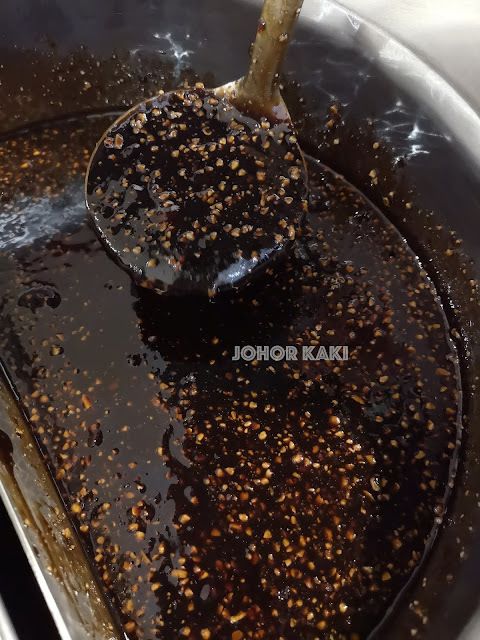 The original sauce is savoury sweet from hae ko and gula Melaka (?) with a bit of nuttiness from crushed toasted peanuts. The spicy sauce is the same but with an added layer of mild chili spiciness. Personally, I like the spicy version more because of the added hot kick. The savoury sweet spicy sauce combines wonderfully with the natural sweetness or sourish zest of the fresh fruits. 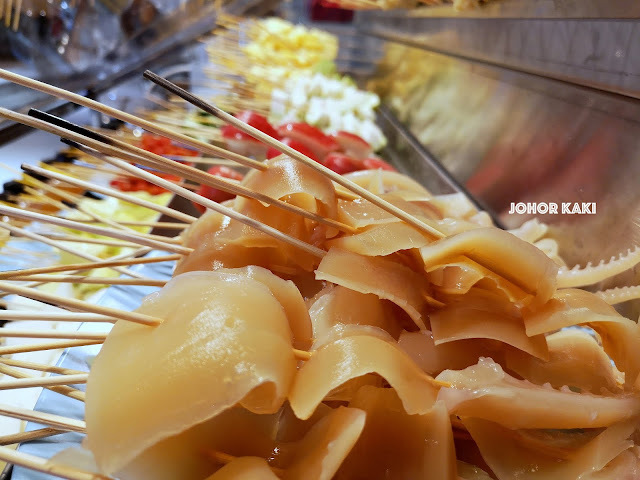 Information for you 👉 If you are in City Square Mall Johor Bahru, check out this speciality from Bukit Mertajam Penang. 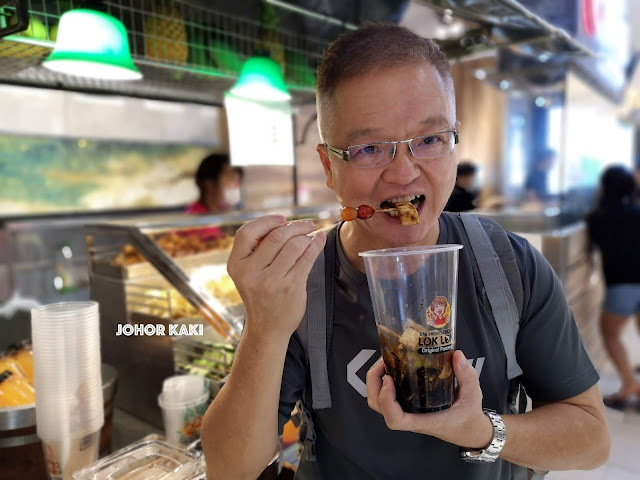 It's so simple yet delicious and something different from Singapore rojak. 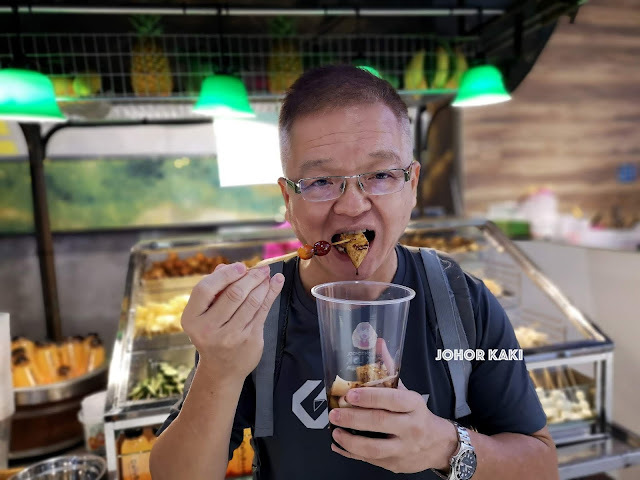 Have you tried Penang style fruit rojak? What do you think about it?